Dunkin Donuts is offering 50% off your first subscription order with coupon code DUNKIN50 at checkout. 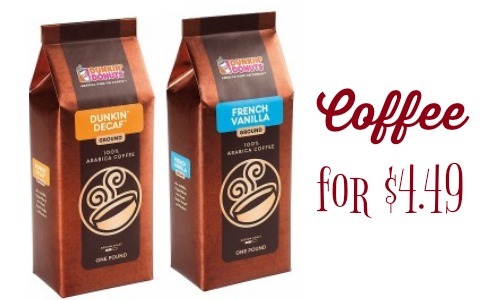 To get this deal, add at least one Dunkin Donuts Ground Coffee 1-pound bag or 12-count K-Cup Pods priced at $8.99 to your cart and apply the coupon code. This makes it $4.49 after the code, but don’t worry you can cancel at anytime. Offer valid for a limited time. Shipping starts at $3.11.